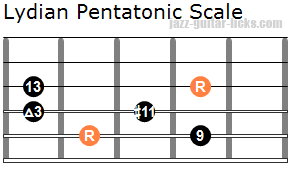 When we think about major scales, the first that comes to mind is the Ionian mode, best know as THE major scale. 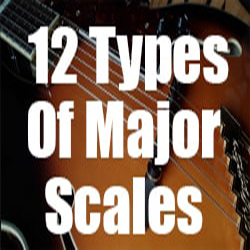 However, there are several other types of major scales (Ionian #5, Lydian augmented #2, Ionian b6) which deserve a little more attention. 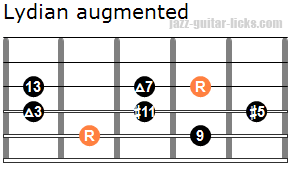 Here they are listed with guitar shapes and formulas. 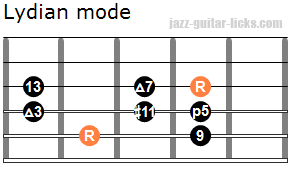 This is the fourth mode of the major scale. 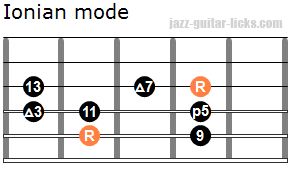 This is THE mode to master when you want to bring a little bit of tension to your major lines. The formula is 1 - 2 (9) - 3 - #4 (#11) - 5 - 6 (13) - 7. 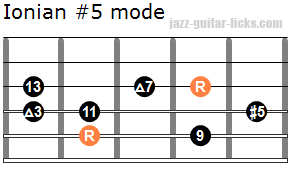 The third mode of the harmonic minor scale is called Ionian #5. 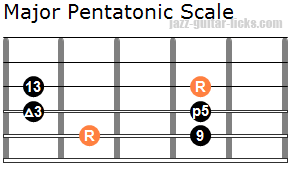 It has a particular sound because of its #5. The Formula is 1 - 2 (9) - 3 - 4 (11) - #5 - 6 (13) - 7. 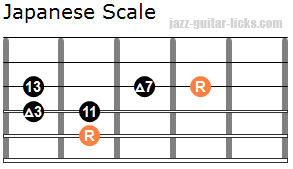 It is the sixth mode of the harmonic minor scale. The Formula is 1 - #2 (#9) - 3 - #4 (#11) - 5 - 6 (13) -7 . 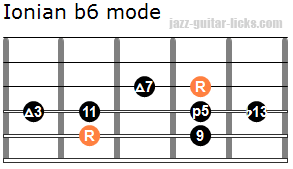 This is the sixth mode of the harmonic major scale. The formula is Formula is : 1- #2 (#9) - 3 - #4 (#11) - #5 - 6 (13) - 7. 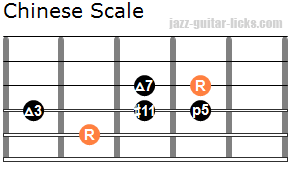 There is only one major scale containing eight notes. 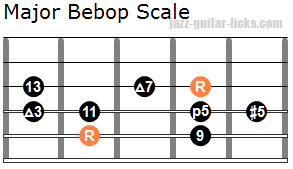 This is the major bebop scale. 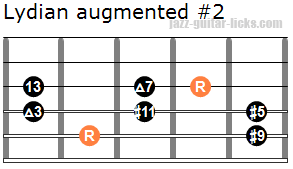 It is built the same as the Ionian mode with a supplementary note, the augmented fifth (#5).